Catching my Breath: The "buts" and the "what ifs"
Tough questions Laura, I hope you find your answers. Family is more than the bloodlines you share and the loss of a loved one always leaves us hurt and looking for those answers. And Karen is bang on...let's be kind to ourselves! I am so sorry for your loss. Losing someone close to you always puts things into perspective. 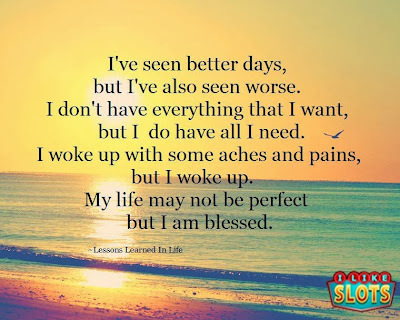 I love the quote that you put up - "My life may not be perfect, but I am blessed." Very well said. Thanks Amy. 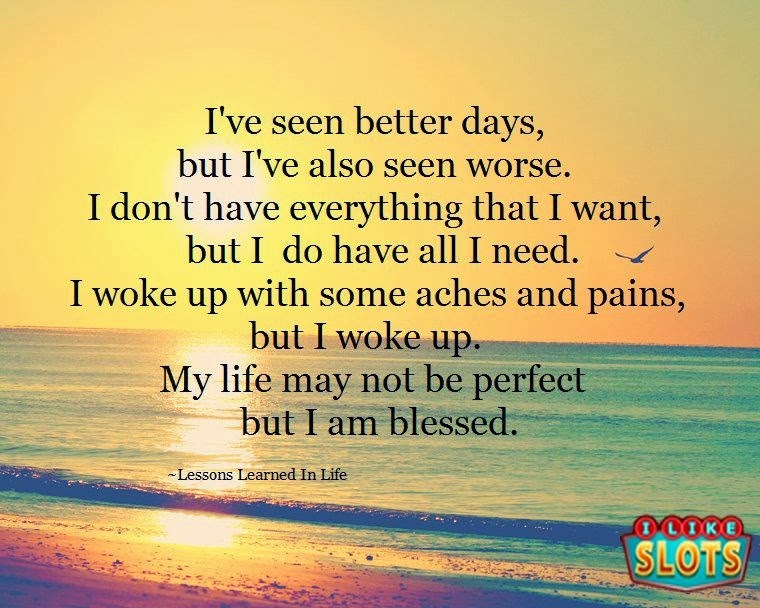 Perspective definitely gets changes after loss, and for the best...time to rearrange my priorities! So sorry to hear about your loss and your post brought me to tears... Losing someone close makes you wonder and ponder things and why things are the way they are. Also makes you wonder if you could have done more been there more attended more gatherings. I to have second family who aren't blood related but I have a second dad and two big brothers (I am an only child) and they are all very protective of me and always have been. The oldest of my big brothers has been by my side with the whole thing with my Grandpa. We cried together Sunday when I hit that major breaking point and things were falling apart. Hang in there and know that your second family is proud of who you became and run that next marathon for Ron. We can't let the what ifs get us down (trust me I know all to well about letting them eat at me) but be proud of your marathon pr and work for the next goal of the 3:15 which by the way just amazing to run that far that fast!!! So sorry for your loss! I think running helps us put things in perspective--we run FOR those people who can't. Those we've lost, or those alive but physically unable. It's our motivation! You and your family are in my prayers. That is a great reminder to live in the moment. Thanks for posting this, it's a really good time for me to read it. I'm very sorry for your loss and maybe you can dedicate your next marathon to him? You did great in your marathon but if you feel like you can do another one before the year ends, go for it! Sometimes you have to take risks to really know and I don't think you'd have any regrets about it. I'm so sorry for your loss, remember that it's not the amount of time you spend with someone it's how you spend your time. It sounds like you spent your time with this person doing quality things, sharing wonderful moments. I hate the "but" moments. It's easy to do, BUT don't let it get you down terribly. Of course as a selfish followreader I'd love to "see" you run your goal marathon, because the joy that you share in that moment is so palpable it makes the day brighter. Definitely have many memories that will last a lifetime. This is exactly my thoughts of why you should run that marathon. You will always look back and say what if I flew there and ran the fastest race of my life and got the time. I am one to say go for it. I know you are struggling right now and I'm always here for you! Thanks Lora, I'm finding more and more people who have had neighbors like "family" I'm glad to know other people had such a great experience like I did. Always thankful - always grateful - I never see you as living your life anyway but to the fullest - so sorry for your loss. So sorry to hear about your loss. There are always going to be "what ifs" with EVERYTHING. I did some calculating... did you know going only 4 seconds faster per mile would equal about 2 minutes. It's impossible to know just how close you are during the Marathon. But you have 3:15 in the bag - It'd be cool to see you at Niagara Falls! So sorry about your loss Laura! Hugs! Laura, I'm so sorry for your loss. It's amazing how death has a way of putting life into perspective.